Japan Rail Pass in-hand, our goal for Japan was to see as much as possible in roughly three weeks. Given the consistent and reliable transit system (click here to read more about the Shinkansen bullet train), we were able to visit twelve different cities spanning from Hiroshima all the way to Sapporo. Japan was our first country we visited in Asia. Japanese culture proved to be wildly different than anything we had seen prior, however, the culture was much more interesting than we predicted. Even with a decent amount of travel preparation, everything from the typical things (people, food) to the less common (body language, social norms) would regularly throw us for a loop. Being in Japan for over three weeks however, we did acclimate enough to get by, but by no means being able to fully understood Japanese culture. Their respectful nature and desire for perfection was easily evident in daily life – everything from a simple greeting or daily metro ride to the most complex and elaborate meal would reiterate their unique culture. Our itinerary allowed us to see vastly different areas of the country. Equally as (if not more) important in our multi-stop itinerary was that it allowed us to experience the diverse culinary offerings of Japan had to offer, which was an experience in itself. Although seafood was typically featured and widely available (there were some wild seafood demonstrations that we either passed on or devoured) it was the local flavors that caught our greatest attention. 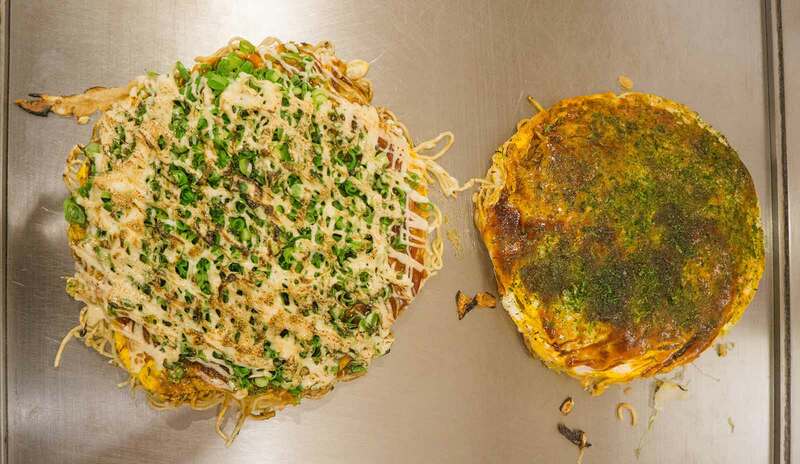 Okonomiyaki Pancakes (Hiroshima) – once a peasant food, these delicious (and filling) pancakes are made of cabbage and a pancake-like batter along with your choice of toppings. We found a local shop around the corner from the AirBnB that took great care of us! 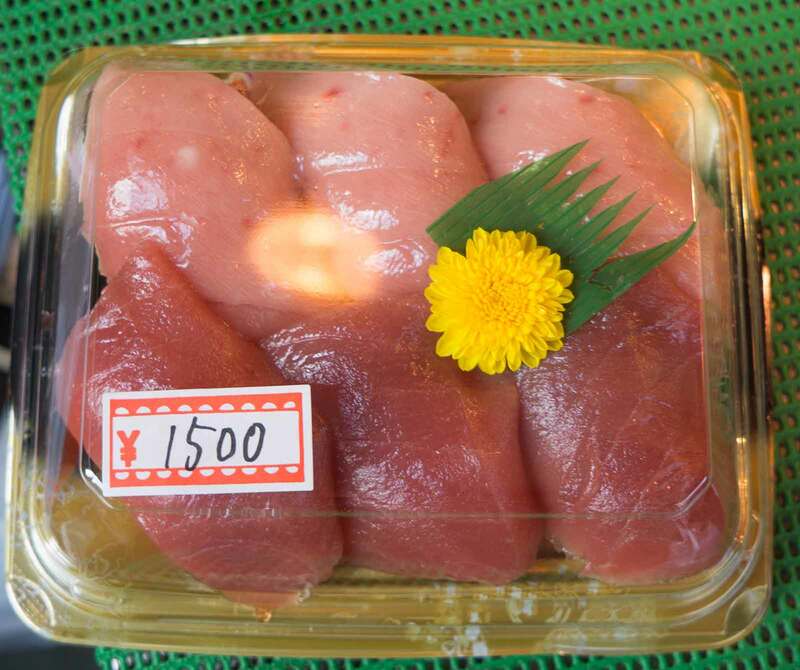 Tuna Nigiri (Tsukiji Market, Tokyo) – one of Josh’s favorite experiences in Japan was indulging in tuna nigiri (and sashimi) for breakfast at the Tsukiji Outer Market (more on the market below). Late night sushi (everywhere) Convenience stores in Japan offer specials on end of day sushi which was one of our favorite late nights snacks. Late night convenience store sushi (left) and Tsukiji Market tuna sashimi (right). Tuna Nigiri from Tsukiji Market (left) and Okonomiyaki pancakes (right). Our trip began in the heart of Japan – Tokyo, where we were fortunate to stay with some friends from the US (thanks again Doug & Kate!). They live in the Roppingi Hills neighborhood, which is a newer area of town and boasts some of the best new restaurants and shopping in town. 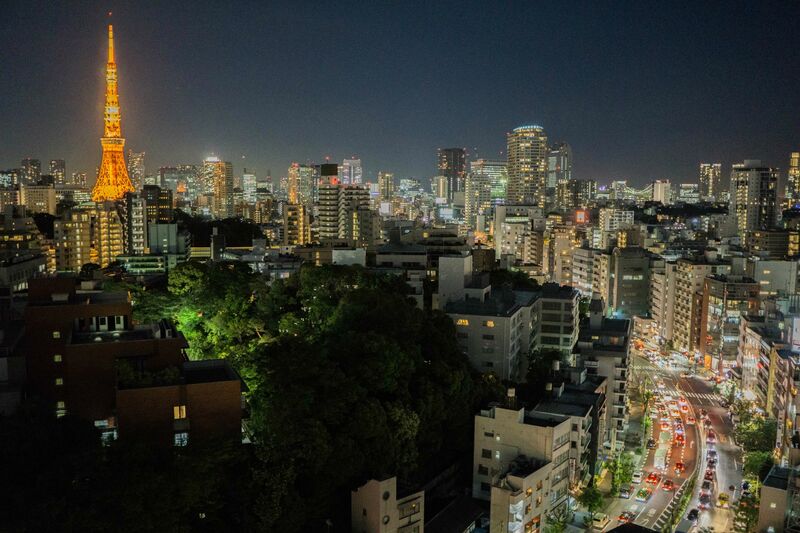 With Tokyo being the largest metropolis in the world, we knew that regardless of how much time we allotted, that we would not be able to see or do everything – you could easily spend a full year in Tokyo. While our time in Tokyo was action-packed, our favorite activity by far was the Tsukiji Fish Market. Tsukiji produces over 400 different types and roughly 700,000 metric tons of seafood annually and is a fascinating experience. Having worked in operations engineering and having spent a considerable amount of time in warehouses, I am used to busy places, however Tsukiji is on a whole different level. 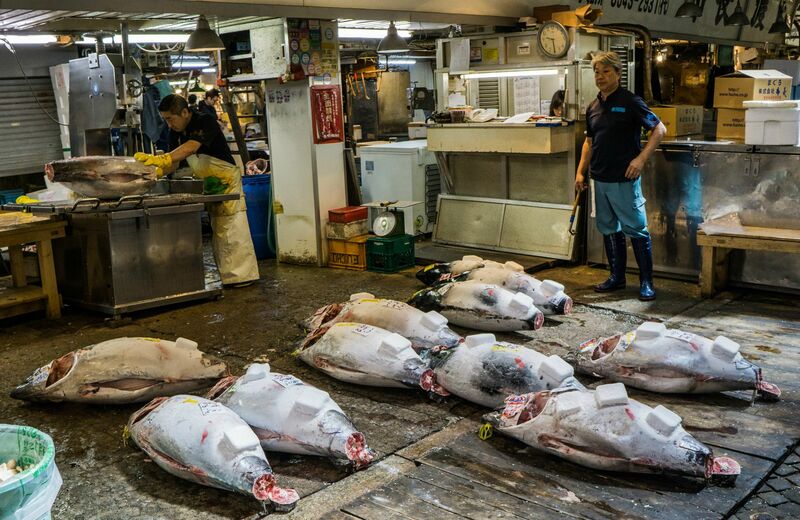 We did not attempt to make it for the tuna auction (they limit visitors on a first-come basis where typically you need to make it to the market before 4am to have a shot at auction entry), rather opted to visit the inner & outer markets prior to entering Tsukiji. For a great glimpse of Tsukiji (and actually, Japanese culture) we highly recommend watching “Jiro Dreams of Sushi” which can be found on Hulu or Netflix. Tokyo’s most unique aspect is the stark contrast of old and new, where one minute you are walking near a torii gate or emperor’s palace and the next minute you are in a electronic/techno alley. If interested in some of our favorite “new” areas of Tokyo, check out the electronic district where you can spend countless hours in an arcade, or buy some OEM computer parts for your Raspberry Pi. After a quick Shinkansen ride, we found ourselves crossing paths with some close friends of ours – Tom, Emma, and Brian in Kyoto. 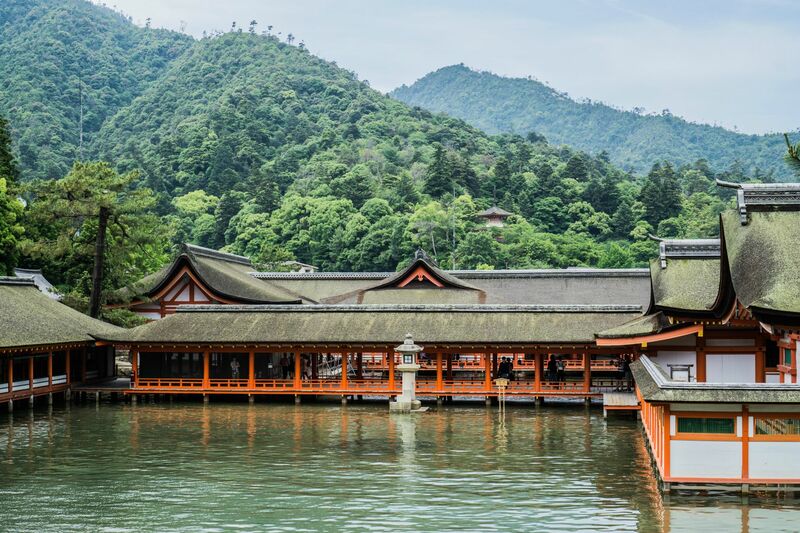 While Kyoto is nearly as massive a city as Tokyo, its main attractions feature a bit more of the “old country” of Japan. 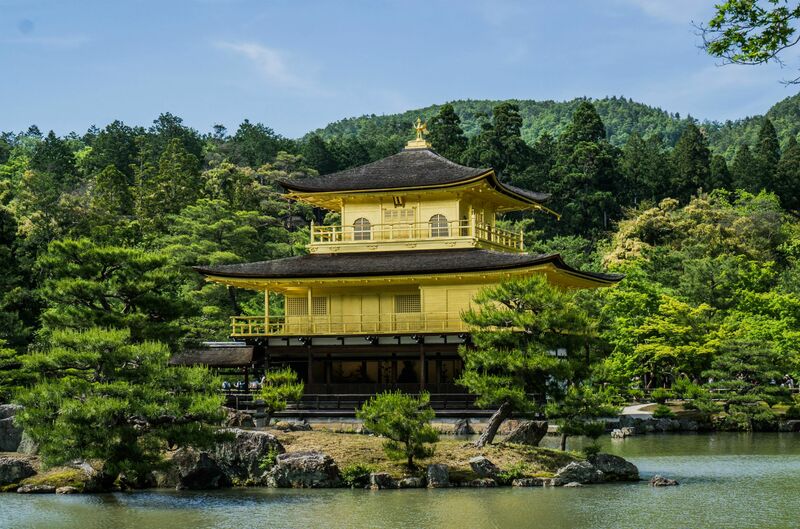 Our favorite attractions were the golden temple and the bamboo groves, which are quite common tourist sites. 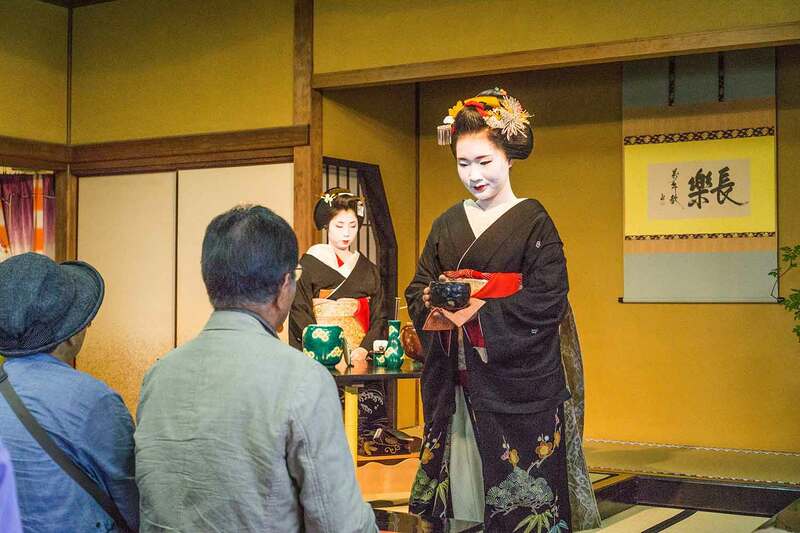 In addition, we were able to catch a Geisha performance and able to have tea with one of the Geiko. In terms of “off the beaten path”, we enjoyed strolling the alleys/streets at night and found a great café for dinner with friends. 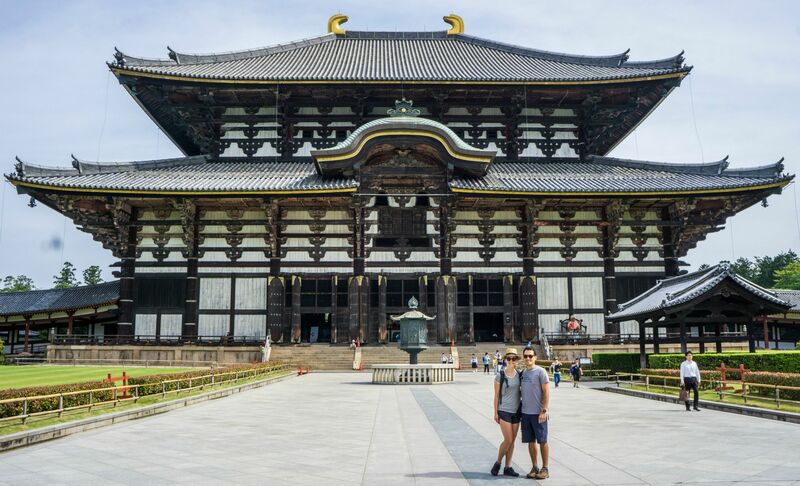 Nara is often overlooked by travelers and was one of our favorite cities in Japan. Widely known for its freely roaming deer, Nara is a fun city that had a bit more of a “small town feel” to it than most cities we visited in Japan. 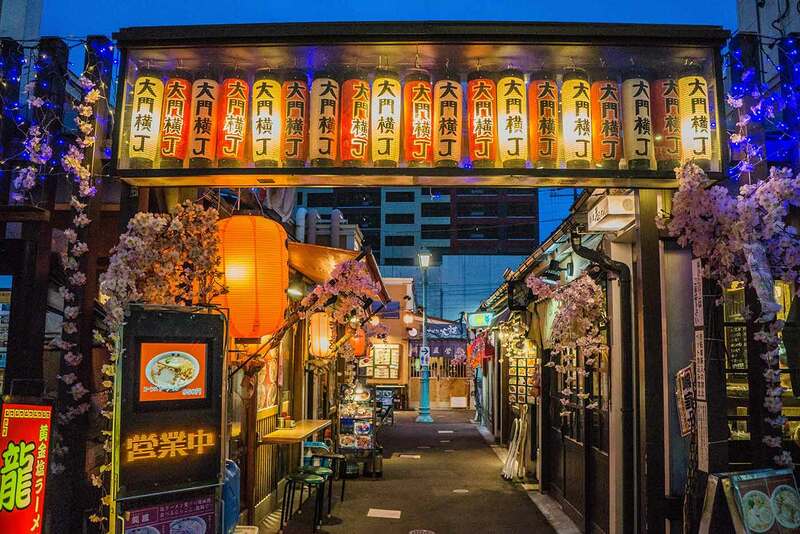 There are a few pedestrian alleyways that have great restaurants and shops, we ate at a traditional Yakitori restaurant and thoroughly enjoyed our private dining experience. 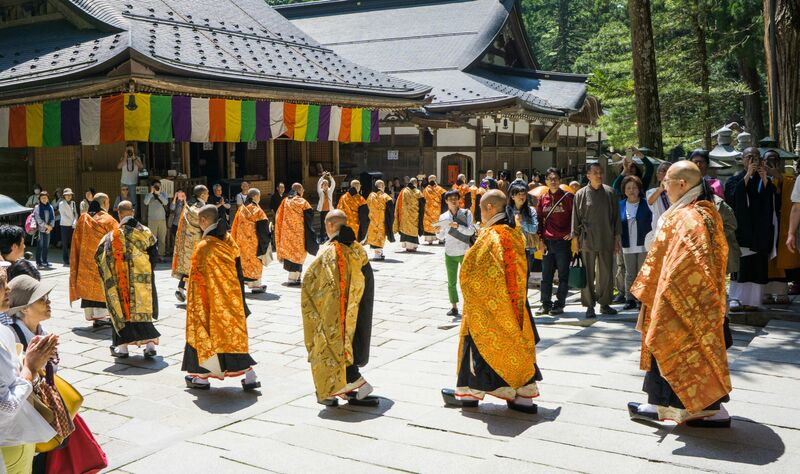 Roughly 100 km southeast of Osaka, Mt Koya is home to world headquarters of the Kōyasan Shingon sect of Japanese Buddhism and features 120 temples. It is easily visited in two days where the primary activity is visiting the temples and graveyards. A common experience in Koya (which we decided to partake in) was to stay at a traditional Ryokan (traditional Japanese hotel) within a Buddhist temple. Mornings featured prayer with monks and evening curfew was 9pm. Another experience here was an onsen (bath), however, we would end up having a better onsen experience in Niseko (more on that later). Himeji was a brief three-hour stop for us while en route from Mt Koya to Hiroshima. 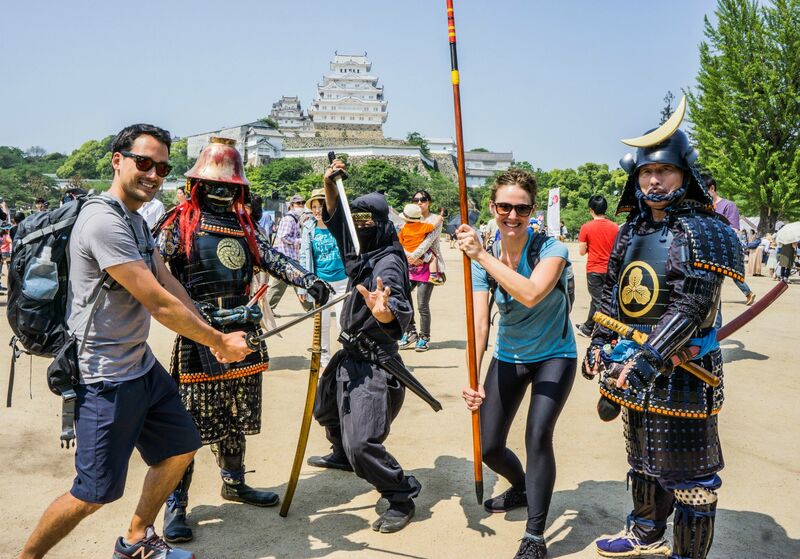 Luckily we stopped as we were able to partake in a local Himeji festival near the beautiful and majestic Himeji Castle (as well as take the following photo). 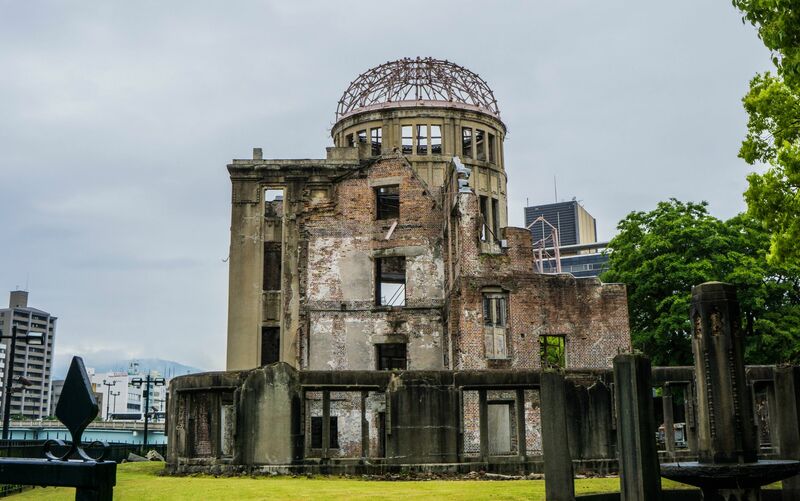 We visited Hiroshima just prior to President Obama’s visit and both the city of Hiroshima and the Peace Memorial were in great condition. The Peace Memorial was very moving and was a vivid reminder of the city’s incredible history. The museum is currently undergoing significant renovation and we were only able to partake in one of the main exhibits. The city itself had a younger, hipster vibe to it and we enjoyed happy hour and dinner at "445 bis" in the Fukuromachi district adjacent to the Peace Memorial. Hiroshima is also the jumping off point for the ferry to the island of Miyajima, home to the great Torii gate of Japan. While viewing the gate was an experience, the hike to the top of of Mount Misen in Miyajima was our highlight on the island and provided stunning views over Hiroshima. And yes, they also have free roaming deer on the island which Natalie enjoyed. 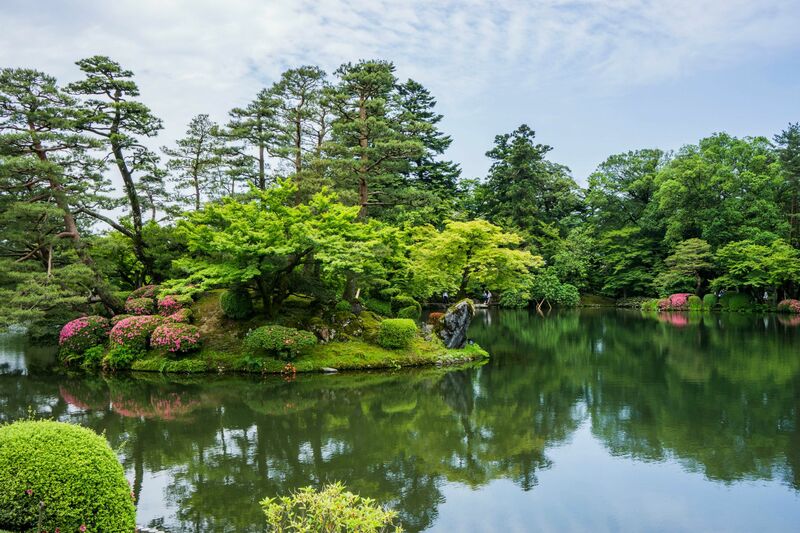 Kanazawa marked the beginning of “off the beaten path” Japan for us and is home of the nicest gardens in Japan. The Kenroku-en gardens are simply stunning. Instead of attempting to describe them I’ll provide a photo for your enjoyment. Takayama is a short day-trip from Kanazawa and is home of the Hida Folk Village exhibiting over 30 traditional houses from the Hida region, the mountainous district of Gifu Prefecture around Takayama. The village is fun to walk around, even try your hand at weaving alongside some of the locals. Be sure to ring the bell and make a wish at the top of the hill. Our “vacation from our vacation” in Japan, we splurged by using some Hilton Honors points and stayed at the Hilton Niseko which is one of the fanciest hotels in the area. The area’s primary attraction is Mount Yōtei which offers great skiing during winter, however given that we were traveling during late spring / early summer we had a different motive in mind. 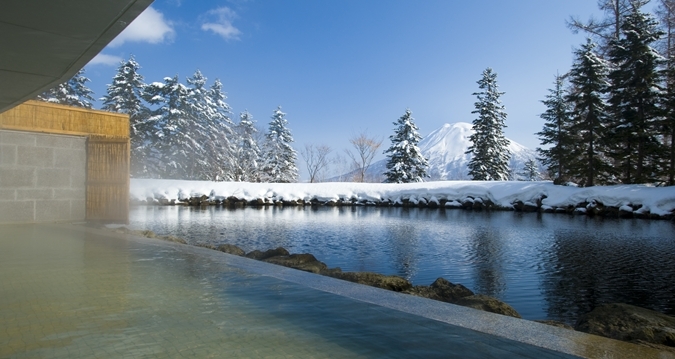 The Hilton Niseko has one of the nicest onsens (hot baths) in all of Japan – with both indoor and outdoor onsens providing views of Mount Yōtei. Our last stop in Japan was a lot of fun. 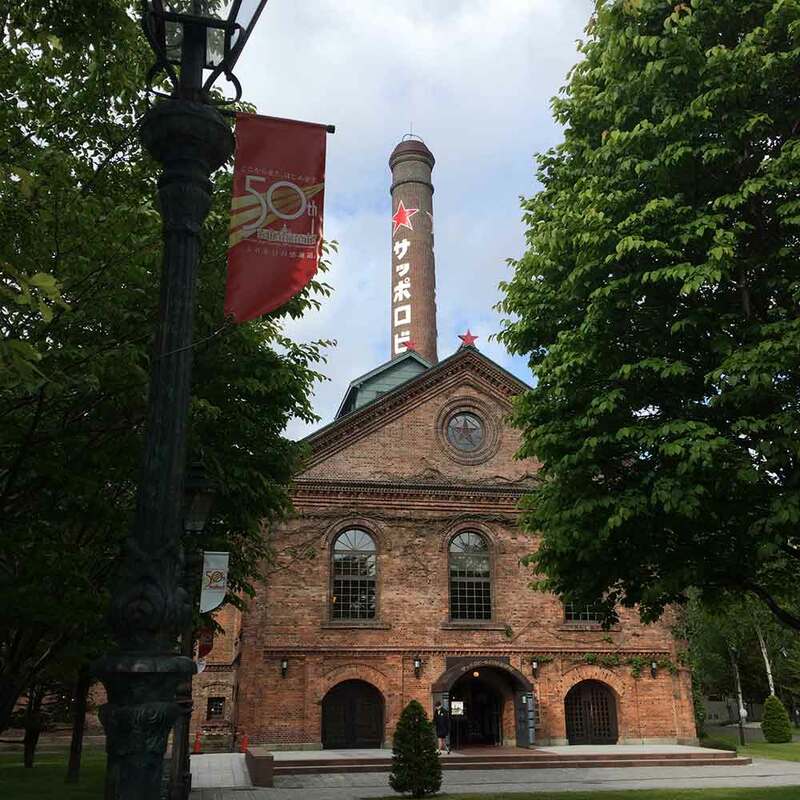 Sapporo (which you may recognize and is home of the Sapporo brewery) is the modern hub of Hokkaido and recently developed a highly sought after Shinkansen route. 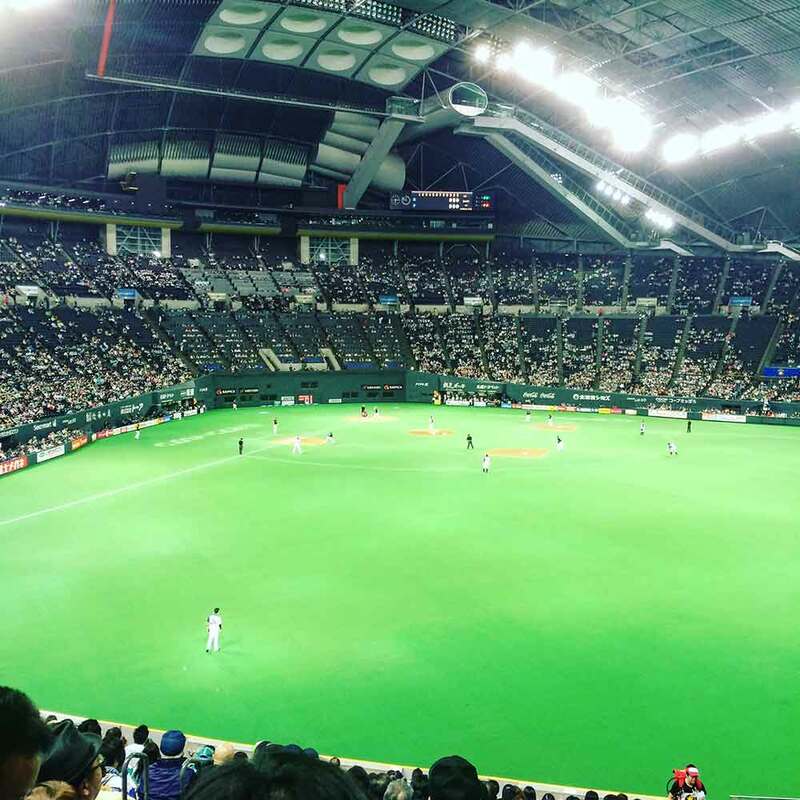 Highlights included visiting the Sapporo brewery and catching a baseball game at one of the funkiest looking stadiums. Unable to converse with the box office, I typed “cheap tickets” into my Google Translator iPhone app which promptly received smiles and laughs from the box office attendants (as well as cheap tickets to the game). In addition to the activities, we explored the city and had the best ramen of our trip at the hidden ramen alleyway.